Muni, the popular transportation system in San Francisco, is working to resolve serious computer issues Saturday, according to spokesperson Paul Rose. A message, which in part read "You Hacked, ALL Data Encrypted," was spotted on system computers at various stations beginning Friday, signaling a technical glitch. 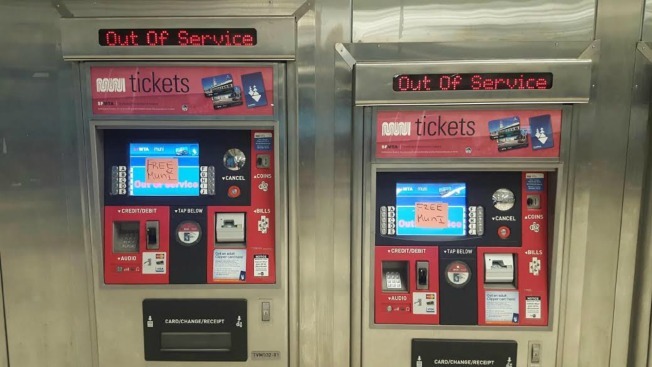 An "Out of Service" message also appeared on ticket payment machines, the The San Francisco Examiner first reported. The transportation agency decided to open up its gates without taking fares in order to prevent a traffic headache, Rose said. Rose did not provide specific details regarding the problem other than saying that the agency was experiencing computer system issues. He added that regular transit service was not interrupted and said that Muni will continue to investigate the matter.